Perfect for fans of Jacqueline Wilson, Chris Riddell and Enid Blyton. this was my choice for Book 11 of my #20booksofsummer paperback challenge as I'd bought this quite a while ago, intrigued by the gorgeous bright cover and the very good reviews I'd read about it! And I can see why it has won such high praise! 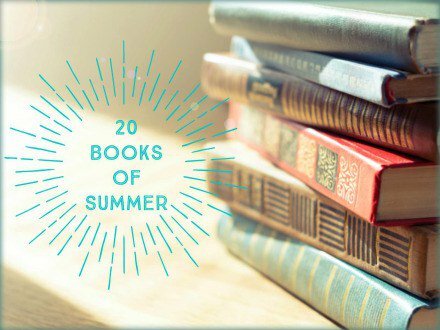 It has such an old fashioned story feel that it was a fun and easy book to read and make you escape the realities of life! And there is lots to escape from nowadays!! It's the story of Sophie who ends up working at Sinclairs the big department store, think Selfridges!, and it is wonderful to see her finding her way in the world and becoming settled amongst her new 'family' at the store. Sinclairs' prides itself on its excellence and displays, so when a new collection of Jewels is set to be shown at the store the excitement reaches fever pitch. 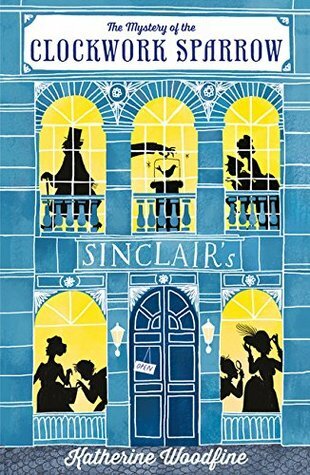 But then disaster strikes and some of the jewels, including the world famous Clockwork Sparrow, go missing, so Sophie and her friends take it upon themselves to hunt down the thieves involved! Full of lots of fun characters and tension as they start discovering clues, it was a really enjoyable read and I look forward to reading more in the series to see what fun they get up to next time!! Kate Marshall is slowly getting her life back on track after losing her fiancé. As an author she has been able to hide herself away from the world and its expectations – but now one of her books has been optioned for a film and Hollywood suddenly comes knocking on her door! When Kate is given the opportunity to stay at a beautiful country retreat and concentrate on the screenplay, it’s an offer she can’t refuse. Encouraged by her best friend, sharp-tongued single mum Sarah, Kate sees it’s finally time to stop letting life pass her by. Looking for confidence and inspiration in the idyllic Cotswolds countryside, the last thing Kate expects is for Timothy Calder, A-list actor and leading man in the movie adaptation of her book, to turn up on her doorstep, hoping to lie low after his latest tabloid scandal! But after a rocky start, with Tim narrowly avoiding death by watering can, they find they have a few things in common: a liking for Lady Grey tea, walnut whips and bad ‘knock knock’ jokes. Actually, the bad jokes are just Tim. 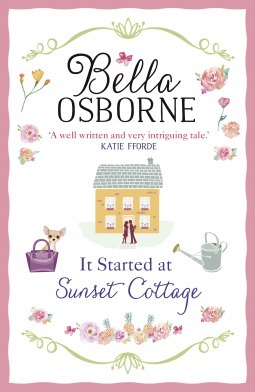 As an unlikely friendship begins to blossom, and with circumstances repeatedly throwing them together, is Sunset Cottage where both Kate and Tim’s lives will really start? This was book #12 on my list and bought in the first place mainly because of the super sweet front cover! I could definitely live in a cottage like that!! It features Kate who is trying to move on from the sad loss of her fiance, and through her work as an Author she is given that opportunity to start a new chapter, when her novel is chosen to be turned into a major Hollywood film. She is nervous but is up for the challenge and it helps when she is invited to stay at the picture perfect Sunset Cottage to concentrate on writing the screenplay. And with a Hollywood film, there comes Hollywood actors and the main focus on this front is Timothy Calder! He's the latest hot A-list star who is becoming more known for his romances off set and his lifestyle. He arrives at Sunset Cottage to get away from the press intrusion, although they always seem to find out where he is sooner rather than later. The sparks fly immediately between Kate and Tim, but they are both wary of taking anything further. Kate as she is aware of his reputation, and why would he be interested in her anyway, and Tim is a little confused by the strength of his feelings so quickly to Kate so he holds back too. Highly enjoyable read so highly recommended for those who love their chick-lit done well! !